The BEST OF week returns to the BPD rag. In the heat of the baseball playoff race I thought I would start with best baseball rivalries. I will not include AL v. NL teams because it just seems unnatural. I have never been big on the interleague play to begin with but for anyone to assume the Cubs v. Sox is up there with the Red Sox and Yankees is just ridiculous. I think Interleague play has run its course and we should get back to the NL playing the NL and the AL playing the AL. #10 Anaheim Angels v. Oakland A’s – It is a newer rivalry. It has been going strong since the 1960s with each team winning dozens of division titles, pennants and a couple of World Series championships. The one has often had to get through the other to get to the playoffs. They have had fantastic teams over the years. The A’s of the 70s were dominant and then the Angels started winning more regularly in the 80s. You had the Bash Brothers and then eventually the “Sock Monkey” in Anaheim. It is ranked #10 right now but this rivalry will pick up steam in the coming decades. #9 Chicago Cubs v. Milwaukee Brewers – This is also a newer rivalry. More than 10 years ago this would be listed as White Sox v. Brewers, not the Cubs. However this rivalry is intense. Granted it hasn’t been filled with too many Hall of Fame players or moments, but the fans have made it great. Currently they are both very good so I see this rivalry getting better over the years as well. #8 NY Yankees v. Cleveland Indians – This is a down right hate fest. Yankees fans and players hate the fans and the city. They have almost as much dislike towards Cleveland as they do towards Boston. The Indians fans have hated the Yankees forever. This rivalry dates back almost 100 years and these teams have met hundreds of times in the regular season and in the playoffs. The Yankees boast their 26 championships and the Indians have fallen in the post-season to most of those teams. However, the Indians have knocked the Yankees out of the playoffs numerous times as well. Not to mention the Indians own the single greatest blow out versus the Yankees. #7 Atlanta Braves v. NY Mets – This rivalry was pretty insignificant until the 1990s. The Braves had a couple of good teams before that but it seemed the Mets were always better. This rivalry just had “moments” up until the 1990s when Bobby Cox was hired as manager in ATL. After that the Braves were very good just about every season. The Mets v. Braves games had new meaning as both teams were usually pretty damn good and in the playoff picture. This rivalry should continue to grow. 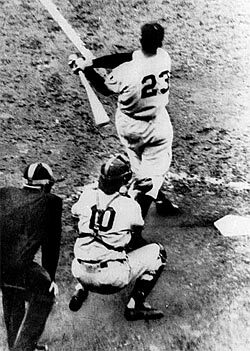 #6 Baltimore Orioles v. NY Yankees – This one goes back to the 1960s. Once again it was the Yankees winning most of the championships but in the late 60s through the early 80s the Orioles gave NY just about everything they could handle. Baltimore won 7 division titles, 5 pennants and 3 world championships over that time period. New York won 5 division titles, 4 pennants and 3 world championships. You had several Hall of Fame players on each team and fantastic moments between the two teams, ending with the Jeffrey Maier interference home run in the playoffs. Recently the rivalry has taken a hit. Baltimore has been terrible the last 10 years or so and the Yankees are beginning to struggle too. #5 Cleveland Indians v. Detroit Tigers – This is another hate fest that has more geographical implications that cross over into multiple professional and college sports. Wolverines v. Buckeyes…Detroit Pistons v. Cleveland Cavs…so naturally the baseball teams would hate each other, right. This is true but the rivalry is one of those on again, off again kind of affairs. It was really hot in the 40s and 50s as the area rivals had numerous Hall of Famers and championships between them. How tense is it when one of your greatest all time players Hank Greenberg (Tigers) becomes a minority owner of the rival Indians? 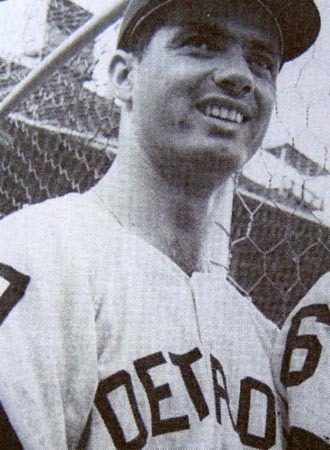 How about the Rocky Colavito trade from Cleveland to Detoit. Some Cleveland fans called it a curse because they went 30 years without post-season play. During this time the rivalry cooled. Cleveland was almost always the doormat and Detroit wasn’t much better (exception of 1984). However this rivalry picked up again 90s and continues on today. The Cleveland v. Detroit rivalry is now hotter than ever. #3 NY Mets v. Philadelphia Phillies – This is your classic on-again, off-again rivalry. The Mets and Phillies have been regular enemies for the last 44 years or so. It has everything a rivalry could want. They are in the same division and only a 90 minute car ride apart. Their is a curse involved. That curse is the Phillies and since they built a skycraper taller than the one adorning the William Penn Statue, they have won no world championships. And I am not just talking about the Phillies. Non of the Philadelphia teams have turn the corner since. It could be a great rivalry if the two teams were good at the same time. A few times they have been battling for playoff position but usually one or both teams are out of contention. This rivalry has picked up since about 2005-06 with both teams competing regularly for division titles and wildcard births. The two teams have also exchanged players over time like McGraw, Dykstra and most recently, Billy Wagner. #2 SF Giants v. LA Dodgers – This rivalry has been struggling and if it wasn’t for the glorious past of these two teams I would have dropped them to #3 or #4. What more can you say about these two teams playing each other? In 1951 the Brooklyn Dodgers hold a 13+ game lead over NY in August and then “The Shot Heard Round’ the World!” These two teams have played each other almost 2,300 times. The most amazing thing is that in 118 years of professional baseball neither of these teams have faced each other in post-season competition. #1 NY Yankees v. Boston Red Sox – What more can be said about this rivalry that hasn’t already been said? They’ve had over 1,770 meetings. The rivalry has the Rooters, the Babe trade and subsequent curse, 26 championships for NY and none for Boston over a 90 year period, 19 post-season meetings between the two, the Bucky Dent homer, the ARod slap, Boston beating NY on their way to a championship etc. It is a great matchup that stirs the passions of millions of New Englanders and just as many millions of baseball fans nationwide. Phillies and Dodgers used to have a rivlary back during the late 70’s/early 80’s. They met in the NLCS in 1977,78, and 83. Both teams were basically the main NL powerhouses during that period. And now they’re meeting again in the NLCS for the 4th time. Its the 2nd most frequent matchup behind the Pirates and Reds who met 5 times. And back then the Phillies vs. Pirates and Reds vs. Dodgers used to be two bitter rivalries as well.